I’m cooking in a new kitchen now! I’m all settled into my new apartment, and I start my internship tomorrow. Unfortunately, that means I will be cooking less. Hopefully I’ll be able to have at least one recipe per week. That’s the goal, at least. Anyway, on to the recipe. This is the second white chocolate cookie I’ve made this summer. (The first one, white chocolate cranberry, was before the blog.) I’ve never been a huge white chocolate fan. I dunno, it always seemed so plain to me, but now it’s my new favorite for cookies. I don’t know what my problem was before! 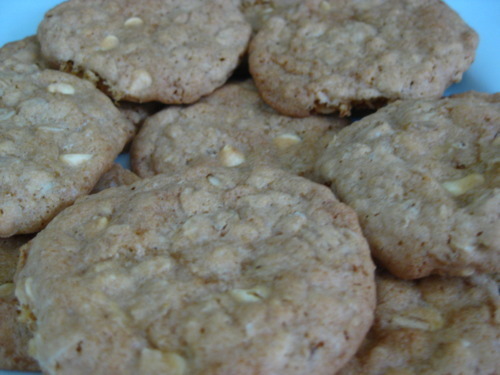 White chocolate makes cookies seem so much lighter and more summery, not heavy like normal semi-sweet chocolate chips can be. 1. Preheat the oven to 350F. Line two cookie sheets with parchment paper (I used a silicone mat). 2. 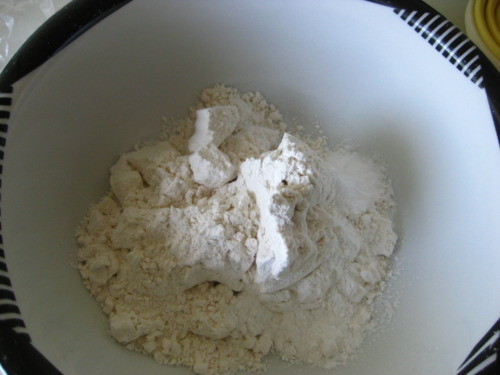 In a medium bowl, combine flour, baking powder, baking soda, and salt. 3. Make sure the butter is soft – 7 sec in the microwave usually does the trick. 4. 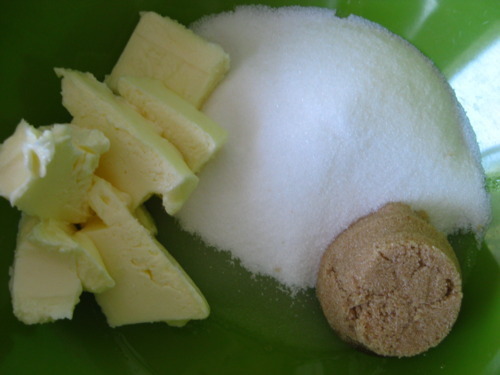 In a large bowl, beat the butter, sugar, and brown sugar until creamy. It might be easier to use a rubber spatula than a mixer if butter starts flying everywhere, like mine did. 5. Into the butter/sugar mixture, beat in the egg and vanilla. 6. 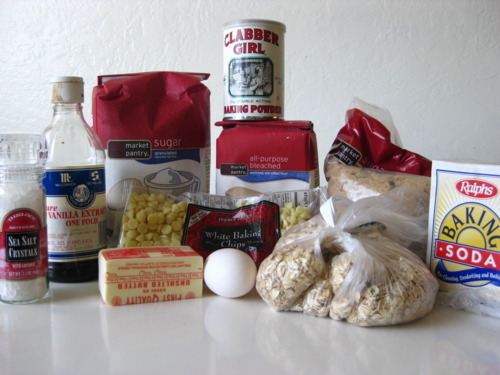 Gradually incorporate the flour mixture into the butter/sugar mixture until a nice yummy dough forms. 7. Mix in the white chocolate and oats. 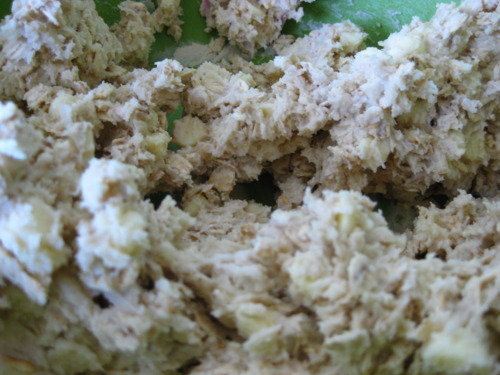 Try not to eat too much raw dough! 8. Take about 1 1/2 – 2 Tbsp dough in your hand, roll it into a ball, squish it a little so it’s flat, and put it on the cookie sheet. Continue with the rest of the dough, placing the cookies about 2 inches apart. I’M SERIOUS. THESE COOKIES SPREAD OUT A LOT. 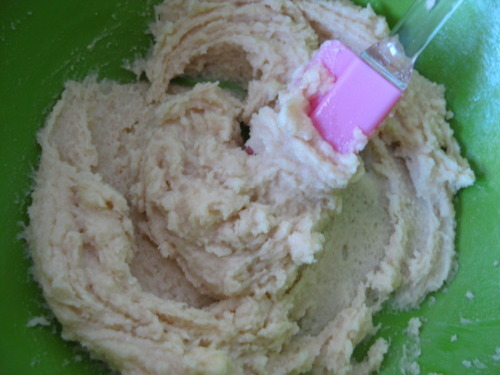 You can even bake half the dough at a time to make sure the cookies are super spread apart. 9. Bake at 350F for 13-16 minutes. Let cool before eating. 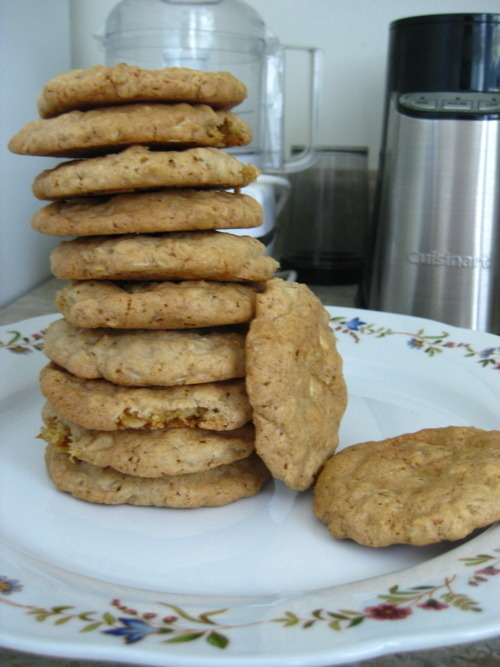 This entry was posted in Cookies, Dessert and tagged chocolate, oatmeal by Alyssa G. Bookmark the permalink.